Ace sprinter Julius has been retired. A scan has revealed the Swiss Ace gelding has a hole in his near fore tendon, leaving Cambridge trainer John Bell no choice but to call time on the seven-year-old's career. "He's not lame but every now and again you'd see him bob a bit and it just showed something was niggling him," Bell said. "He's still bouncing around the paddock and full of himself but as Jason [Waddell, Julius' regular rider] said, that's just the heart he's got." Julius raced just 13 times for seven wins and six placings, earning more than $228,000 in stakes. 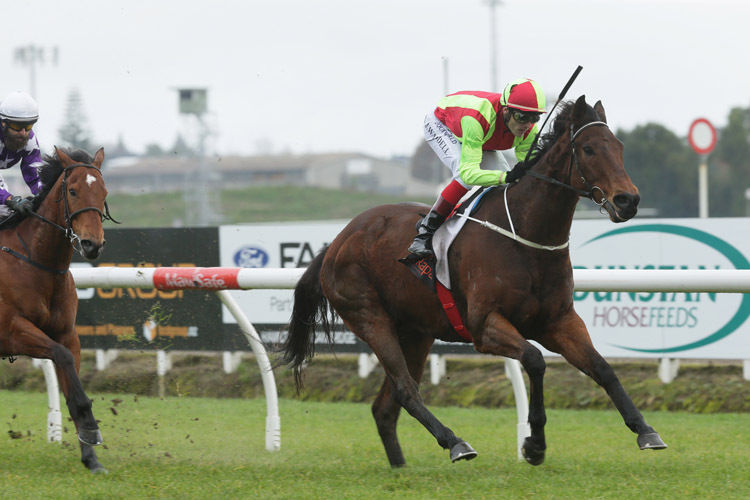 He won his first four races this year, including the Gr.3 Concorde Handicap (1200m) and Gr.3 Darley Stallions Plate (1200m), both at Ellerslie, before he was narrowly defeated by Melody Belle in the Gr.2 Foxbridge Plate (1200m) at Te Rapa in August, the winner going on to Group One wins at her next two starts. "He's been a marvellous horse to do anything with and I'm absolutely so proud to have been part of what he's done," Bell said. "Even in his last start at Rotorua [in the Gr.3 Sweynesse Stakes over 1200m], he missed the start but still only went down a nose and a head." Bell had been planning to race Julius in the Gr.1 Sistema Railway (1200m) at Ellerslie on January 1, a race he produced Mosse for as second favourite in 2015 before that horse finished 10th. "He'll retire at my place and share the back paddock with Mosse. Just a couple of horses that can reminisce about what they could have been in they had stayed sound," Bell said.